Question mark cardies out, the Doc's back! 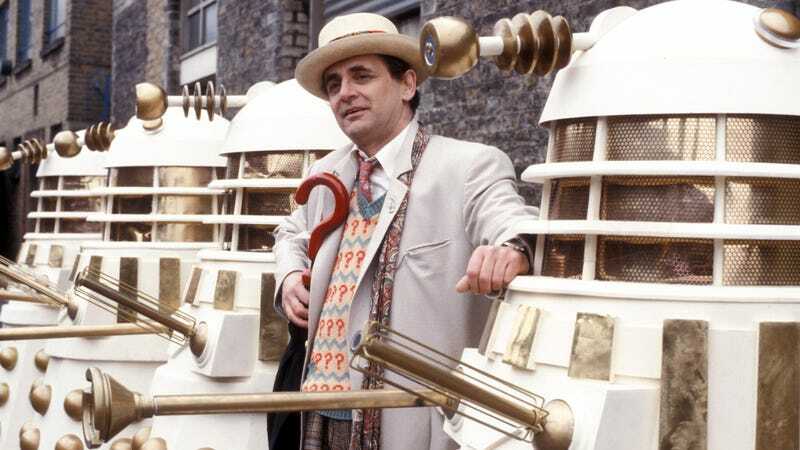 Sylvester McCoy with some Imperial friends. The Seventh Doctor returns to BBC Radio 4 Extra for four nights starting on Monday at 18:00. Do they still call that thread the Seventh Dimension? Sylvester McCoy returns in a Big Finish production, Protect and Survive with Sophie Aldred and Philip Oliver as Ace and Hex. The four episodes were written by Johnathan Morris. It gets a midnight repeat and will also be available on the website afterwards.